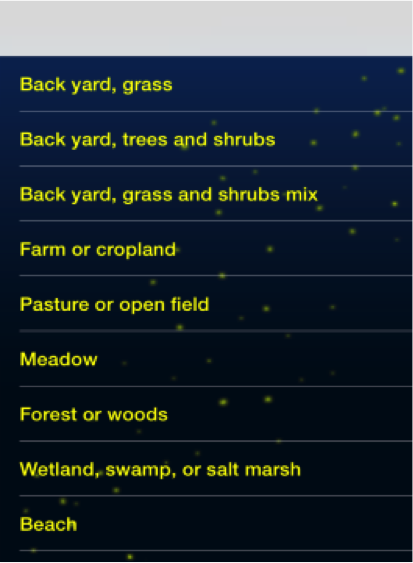 Fireflies… Are they disappearing? And if so, why? natural resources they need to survive? environmental science research. 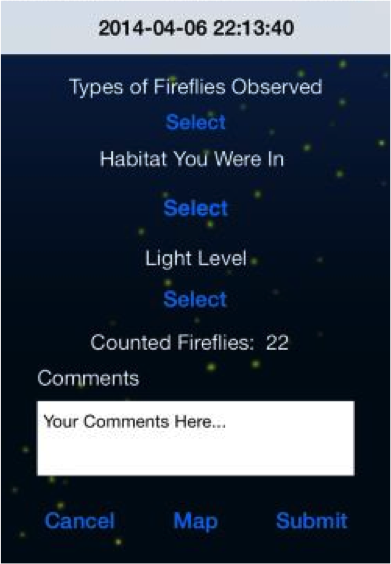 The Clemson Vanishing Firefly Project offers a mobile app that everyone - from elementary students to seniors - can use to measure firefly populations in their communities from neighborhoods, to parks and anywhere in the world they may go! 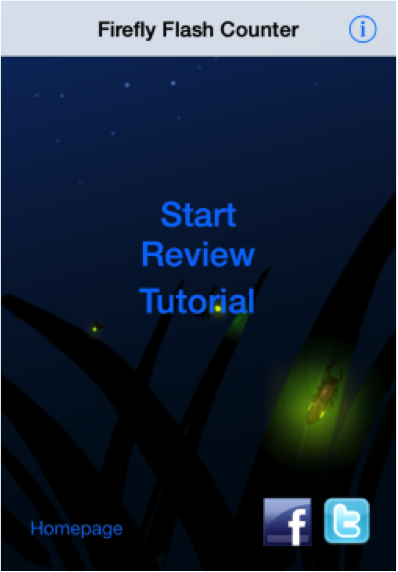 A view of our mobile app available for iPhone and Android.